Karen Tappin of Brooklyn, N.Y., pictured earlier this month at International Natural Hair Meetup Day in Boston. The slumping sales of hair relaxers among African-American women tell the story: More women are opting to forgo chemicals and go natural. But it’s the anecdotal evidence that conveys the real message. Alyssia King of Roxbury, founder of Desired Lash. In less than a year, the Boston Naturals Hair Meet Up Group has grown from 200 to 800 active members. Experts are reporting a bump in the number of women looking to go natural, particularly over the past two years. The Boston group is no anomaly. Most major cities now have groups for women who dub themselves “naturals,” or are considering going natural. A look at the website My Natural Hair Events shows dozens of gatherings, and video blogs on YouTube are filled with advice on styling natural hair. 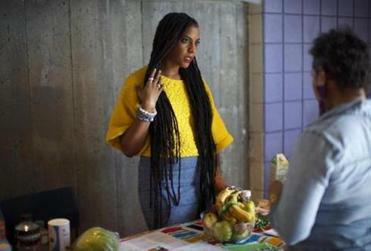 Modjossorica Elysee, the 28-year-old head of the Boston Naturals, says the growing interest in chemical-free black hair is not simply a trend. The consumer research group Mintel reported that hair relaxer sales dropped from $206 million in 2008 to $152 million in 2013, while sales of products to maintain natural hair are on the rise. “What better thing than to tell everyone that I love my hair?” — Modjossorica Elysee, head of Boston Naturals. From politics to pop culture, natural styles have grown in popularity in recent years. But stories from the women who have made the switch from relaxers and weaves to natural styles convey what the studies can’t. In the not-so-distance past, natural hair was an anomaly among African-American women. Women who didn’t follow the ritual of spending hours at the salon on a Saturday to get their hair relaxed were often looked upon skeptically. That side eye she experienced could be because a woman’s hair is such an important part of her identity. Chris Rock’s 2009 documentary “Good Hair” explored the quest that many women go through to achieve what is often referred to as the “European standard,” or straight hair. There are weaves that cost thousands of dollars, and chemical straightening can set you back over $100 (or more) a month. It’s an expensive and time-consuming cycle than many in the Boston Natural Meet Up Group decided is simply too much. Elysee now wears her hair in a high-top mohawk. 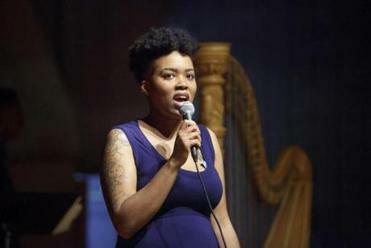 Letitia Richards of Dorchester at UMass Boston for International Natural Hair Meetup Day earlier this month. 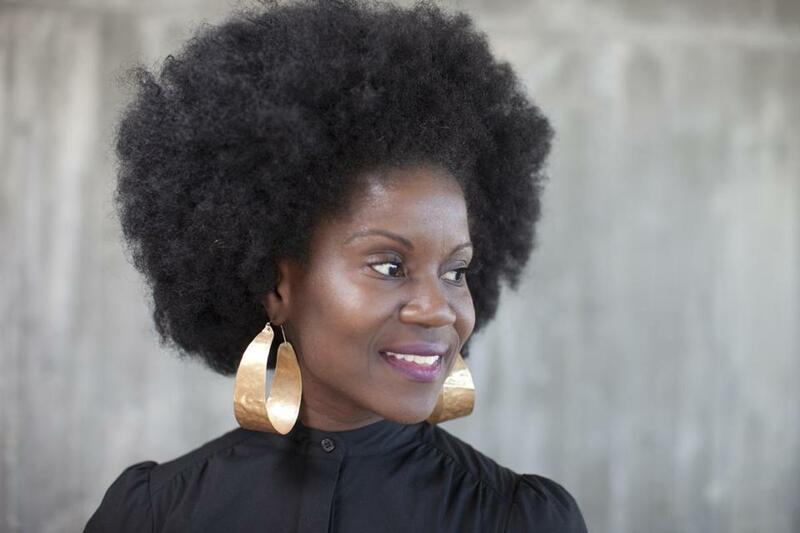 Earlier this month, more than 300 women from the group gathered at the University of Massachusetts Boston to listen to panel discussions, attend workshops, and shop the vendors who gathered for International Natural Hair Meetup Day. The day was celebrated in 28 states, plus France, Canada, Japan, Grenada, and Holland. Actress Viola Davis made style headlines in 2012 when she arrived at the Academy Awards sporting a short, natural coif rather than a wig. “I feel powerful, I really do,” Davis said at the time of her new style. 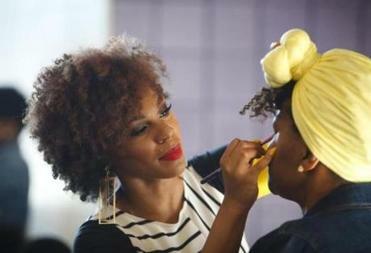 The surge of natural hair styles truly arrived two years ago, according to New York-based celebrity hair stylist Giselle Modeste. She doesn’t attribute the increase to celebs such as Davis or Oscar winner Lupita Nyong’o, but simply that women’s hair was getting damaged and breaking from chemicals, heat, and straightening. But the increased awareness around natural hair is not universal. Earlier this month the Army issued new appearance standards that banned most twists, dreadlocks, and large cornrows, all styles favored by women with natural hair. After 16 female members of the Congressional Black Caucus called the changes “discriminatory rules targeting soldiers who are women of color,” the Army is now reviewing the rule. Transitioning from processed hair to natural hair can take time as cropped hair grows out and experimentation begins with new styles. But the biggest obstacles sometimes come from the women themselves. Jacqueline Myers, another member of Boston Naturals, said she went through years of relaxing and straightening her hair before finally deciding to go natural, but the decision wasn’t easy. That’s part of the reason that the Boston meet-up group is a forum for sharing styling tips, networking, and offering support to women who are contemplating transitioning. Elysee said there are also white and Asian members in interracial relationships who attend to learn about how to style their daughters’ hair. For members of the group such as Martine Bernard, the embrace of natural hair is a dramatic shift from where it was a decade ago. @globe.com. Follow him on Twitter @chris_muther.